Staff from our award-winning Porter’s Coffee Shop chain are showing off their kitchen skills at a major national awards ceremony. Last year, CAIS Social Enterprises wowed the judges to take home the silverware in the health and wellbeing category at the annual Social Business Wales Awards. Our impressive record in helping people furthest from the jobs market earn qualifications and find work won us national recognition. This time around, our staff are behind the scenes at the Llangollen Pavilion, catering for hundreds of people at the 2017 event and conference. Catering manager Mark Welsh said the team were privileged to have been invited to bring their blend of catering training, qualifications and practical experience to the national stage. 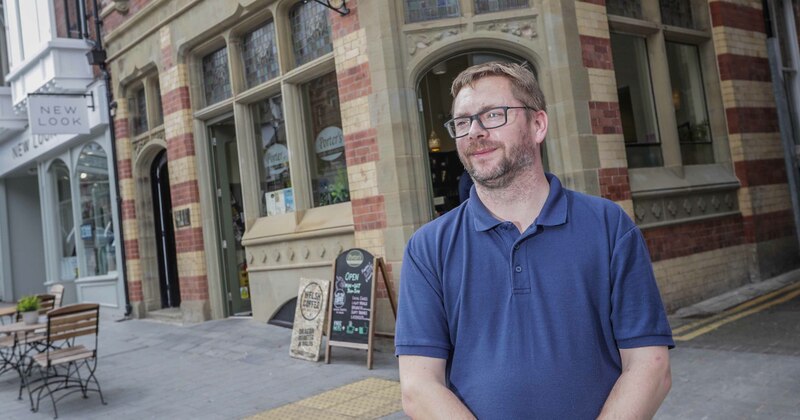 CAIS Social Enterprises currently operates four Porter's outlets in Colwyn Bay, Rhyl and Cardiff, plus an outside catering service, the Troop Café veterans’ hub in Llandudno, and the Station Court meeting and events venue. Altogether, our hospitality training and volunteering schemes have helped almost 100 people collect more than 200 qualifications – with more than 40 moving on into rewarding new jobs. “Catering for a major event of this size is not something we do on a day-to-day basis – but I know that my team has got what it takes to deliver.